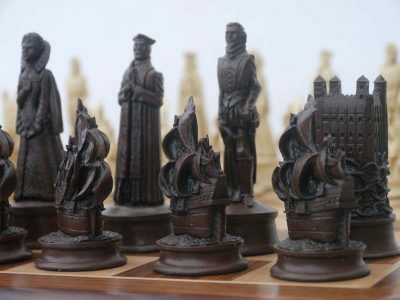 These premium Themed Chessmen sets from Berkeley Chess, England encapsulate the best of British craft manufacturing. 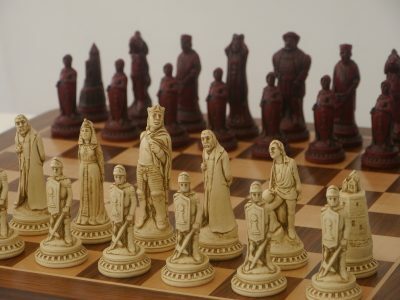 Made from crushed marble and resin, these chess pieces undergo a special process. Stained in Russet (a contemporary brown) or Cardinal (a contemporary red), they are then further stained to add an aged antique effect. 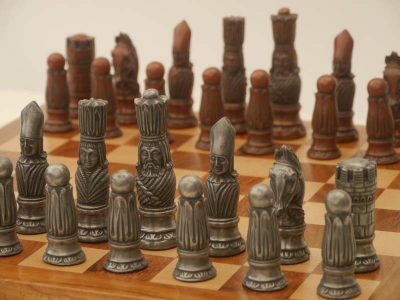 The Metallic Chessmen are cast in metal with a copper and steel/pewter finish. They are approximately double the weight of the crushed marble sets. 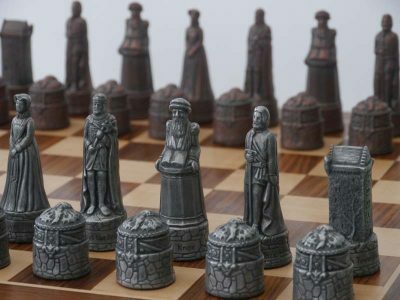 All Chess Pieces are well weighted and finished with a protective felt base. 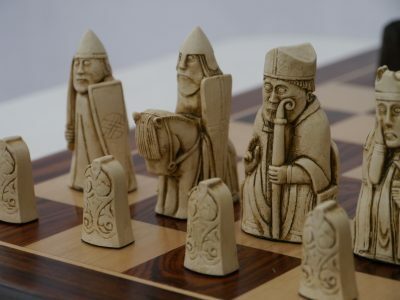 Each Set of Chessmen come individually housed in a Presentation Box. 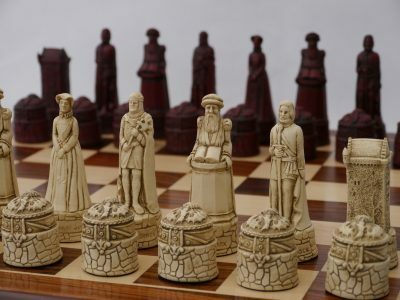 These Chessmen sets are of the highest quality and add a new dimension to the time-honoured game of chess. 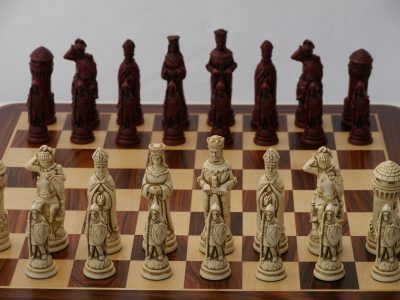 Our recommendations for matching Chess Boards are shown with each Set description.